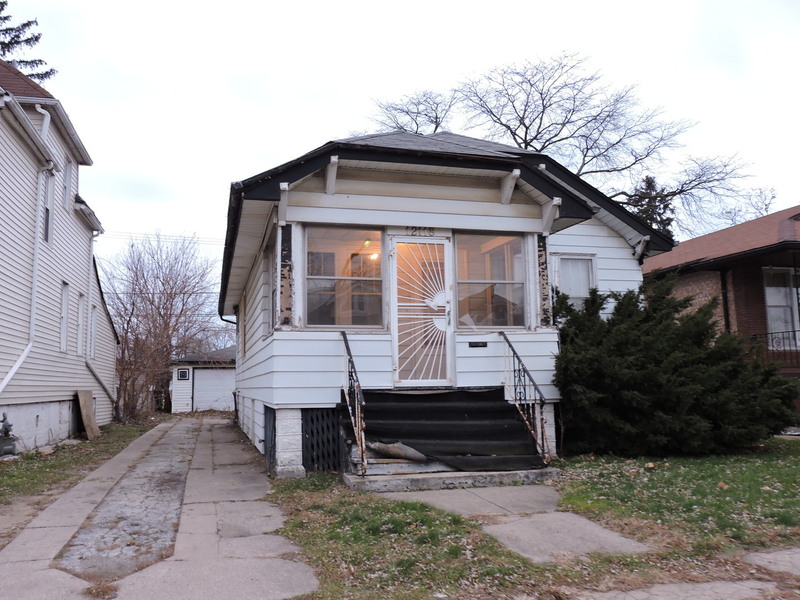 Handyman Special in West Pullman! This quiet 2br Bungalow sits on a JUMBO lot, with a driveway and garage. Large eat-in kitchen with a pantry. Hardwood. Enclosed fron and back porch. The Property is Corporate owned, sold as/is, no survey or disclosures. Room count and sizes are estimated and should be verified. Buyer responsible for any city requirements or violations, if any. Please see agent remarks for offer info and additional documents.